Back on the market. 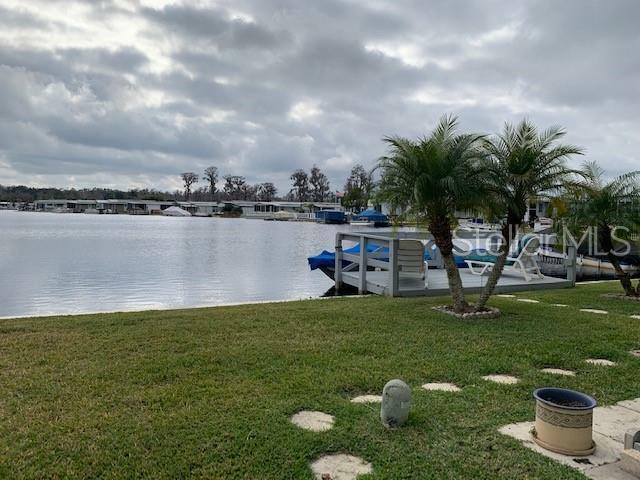 Beautiful Affordable Lakefront Living on the CLERMONT CHAIN OF LAKES – frontage from your back door. Porch overlooking the water and nice size workshop in the carport. You can finance up to 75% of the value of the appraisal or the purchase price, whichever is lower with a local lender. Park your boat on your deck in your backyard. The community of Emerald Lakes Co-op is a 55+ community that offers wonderful amenities such as a swimming pool, clubhouse, library, spacious area to play games or just relax, pool table, full kitchen, boat dock, sitting area by the water. HOA fee includes cable, water, lawn care, trash, and internet. NO DOGS ALLOWED.